Oh Southwest Virginia, who wouldn’t want to visit such a beautiful, mountainous area and be a part of this special place? The wealth of beauty and history in Appalachia has created an identity held dear by its people. It is a place of refuge, openness, and exploration that may retain current residents and attract newcomers to this region that has seen a population decline of 7% since 2000, while Virginia has seen a 19% increase over the same time span. The Spearhead region (named for the geographic shape of the seven counties and City of Norton resembling a spearhead) and also known as workforce development area I, contains over 70 hiking/mountain biking trails, 67 lodging locations (hotels/cabins), 51 cultural heritage points of interest, 50 art exhibits (galleries/events), 30 parks, 29 boating access points, 25 campgrounds, 17 bird watching trails, 10 museums, and 10 breweries/wineries with hundreds of local places to eat and shop. Not to mention that close to 50 stores sell ATV permits which must be purchased in store and not online, bringing more people into these local shops and outfitters. It is safe to say that with improved ridership; a new wave of tourism could gravitate into this region and help improve the lives of its members by bringing customers into local businesses and in time, creating a demand for more jobs. Who? Spearhead Trails is an outdoor recreation organization which partners with local governments, landowners, the US Forest Service, businesses, and regional tourism boards to promote the use of over 400 miles of trails within 5 trail systems which are used for riding off-road vehicles such as dirt bikes, OTVs, ATVs, and come next year, larger Jeep-sized vehicles on its new trail. In addition to vehicles, the trails can be used by hikers with some trails being designated for horseback riding. The existing trail systems are named as follows: Original Pocahontas, Coal Canyon, Ridgeview, Mountain View, and Stone Mountain with a new trail opening next year. Where/When? Leaders of Spearhead consulted a local community planning & design firm out of Roanoke, Hill Studio, to overhaul the entire trail system and create an identity for the trails to focus on the abundance of cultural heritage that exists in the region. Hill Studio hired me as an intern this past summer to “spearhead” the Spearhead Trails project, which is still on-going and will be completed over the coming 12 weeks. How? For starters, a complete redesign of the logos was suggested to give an identity and allow people to know that they are on a trail that is a part of the Spearhead system. That started with first changing the shape from a directional arrow to an actual spearhead shape. After this, we held community meetings to ask the locals about some key landmarks and destination points as well as some history surrounding each trail system. This knowledge was used to give a theme to each system to inspire naming for main trails and sections of trails which includes Native American, frontier, logging, coal terminology, wildlife/vegetation, bluegrass, moonshine, and geologic striations underlying the region. Along with the logos and naming, the main purpose of the project was to improve wayfinding for riders by improving the maps and design of the signage with the intention to promote the local businesses surrounding the trails such as lodging, food, shops, and other attractions. What? 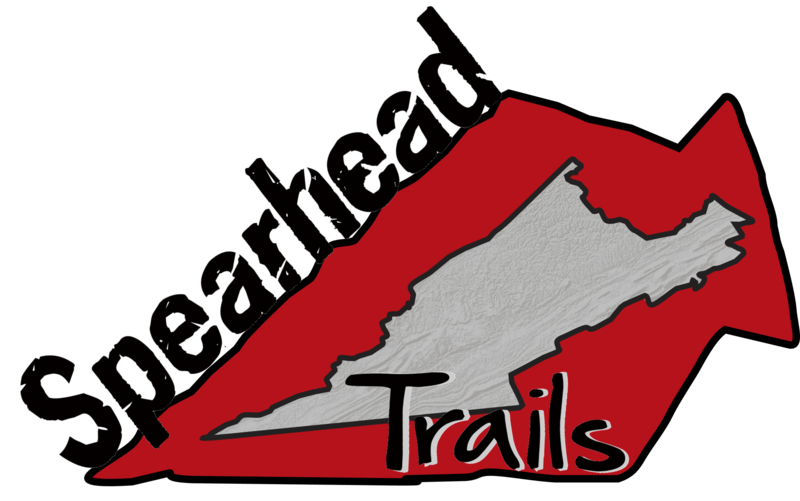 To view the Spearhead Trail Project, please visit https://hearth.earth/hill where you can download the shortened project report containing the new logos, signage, naming, and mapping concepts. You can also view and play around on an interactive map of the trails with their new trail region/individual trail names. each trail is clickable and offers an array of statistics riders may find useful such as average slope, steepest slope, elevation gain, highest point, length of the trail, and trail difficulty. Why? This is an incredible example of how private companies, local governments, community members, non-profit organizations, and Virginia Tech (channeled through me as a student/research assistant at the Office of Economic Development) have come together to work toward bettering the heart of Appalachia by focusing efforts on building a sustainable economic base through outdoor recreation and tourism.